For years, a staple of the American slave diet was thought to be lost to history — until chef B.J. Dennis discovered the reddish hill rice growing in Trinidad. Now he's bringing it back to southern cuisine. For black slaves living in the American south, rice was an important staple of their diet and culture. One particular species, known as African glabberima or hill rice, was believed to have been imported from Africa. 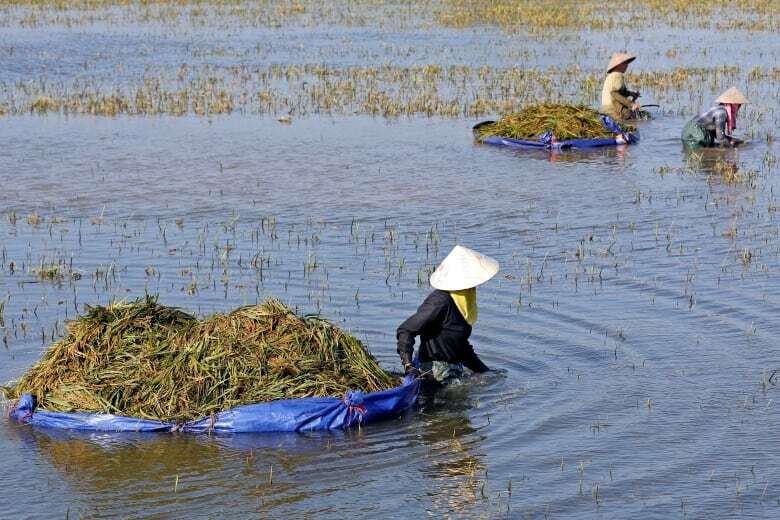 Unlike other kinds of rice that must be grown in flooded fields, it could grow in dry soil, meaning those that tended the fields weren't at risk of malaria. All it needed was natural rain to flourish. For years, chefs and historians believed that hill rice had been lost to time in North America, taking with it a significant part of the history of slavery and food in the American south. But then in 2016, American chef B.J. Dennis was visiting Trinidad for a rice symposium, and came across the grains growing in a hilly field. "It's one of the few strains that's indigenous to West Africa that came over here with the enslaved Africans. It's a distinct rice because it's a red bearded rice. That means it has red colour once you hull it," Dennis told As It Happens host Carol Off. 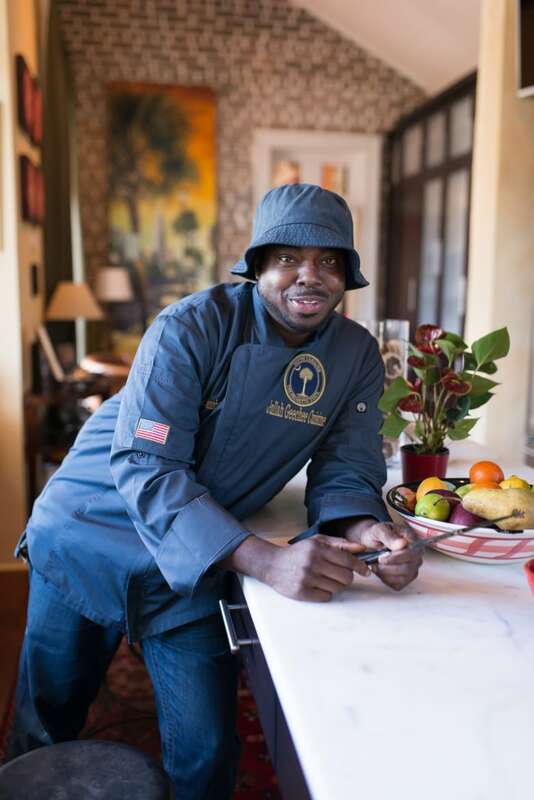 Dennis, a chef and caterer based in Charleston, S.C., has dedicated his culinary career to preserving, and in some cases reviving, a wider awareness of Gullah Geechee cuisine and culture. They're the descendants of African slaves that were brought to the United States in early American history. "It's the most historically significant African diaspora grain in the Western Hemisphere," David Shields, a professor at the University of South Carolina and chairman of the Carolina Gold Rice Foundation, told the New York Times. Dennis recalled several savoury preparations for hill rice seen in Trinidad: a sticky, glutinous porridge made with coconut milk and steamed with fig or banana leaves; chutney with hot peppers, sesame seeds and the herb known as shado-beni or culantro. It's a versatile grain that can also be used in many stews and risottos. To Dennis, however, tracing the stories that potentially explain how the rice found its way to Trinidad may be just as interesting as the kinds of dishes he can make with it. One theory traces it back to West African slaves who were given land in Trinidad for fighting in the War of 1812 against their masters. They became known as the Merikins — a Creole spin on the word for Americans. Another theory is that Thomas Jefferson became a fan of the rice after having been gifted a large cask of the grain in 1790, according to the New York Times. He began spreading rice throughout the American South. Dennis is most interested, however, in the details that have been lost to recorded history. He turned most of his attention to the question of how Africans who were hauled to the new world by slave owners were able to bring the scant traces of their culture, and their homes, with them, unbeknownst to colonists. "A lot of African women would hide seeds in their hair, you know, being that people of African descent ... for the most part, they have thick or wooly hair," he said. "[There were] stories of African women hiding seeds in their hair because they knew the importance of agriculture and seeds." 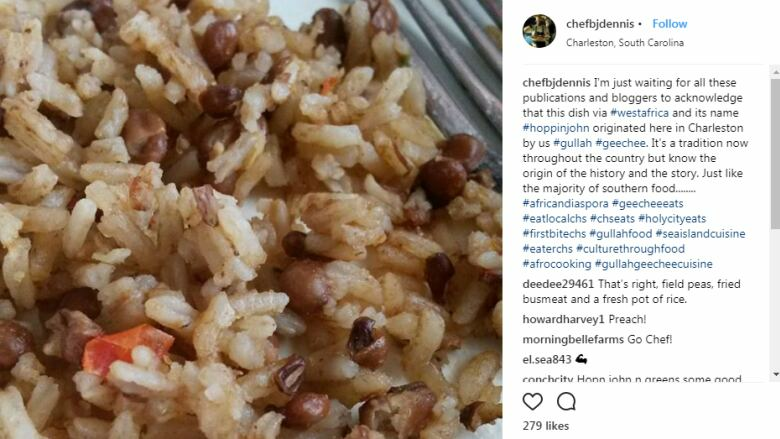 Dennis is now working with horticulturists and food scientists to bring hill rice to a new, wider audience in the U.S., while also crafting recipes with it to augment his repertoire of Gullah Geechee cuisine. The U.S. Department of Agriculture is reviewing it, which might lead to its introduction as a commercial crop across the country. "I would love to see this get back into the into the hands of the people whose ancestors brought it here.That's part of their heritage and lineage," he said.